Carrot or fresh red chillies .. for the beaks. 1. Cut out a slice from the bottom to make them stand. 2. Give slits on the sides for the wings. Cut a tiny piece of the toothpick and insert between the body and the wing so that they look a bit spread out. 3. Cut the edge of the chilli. Insert a tiny piece of toothpick near the beak part and fix the chilli on it. OR you can carve it from a piece of carrot and fix it. 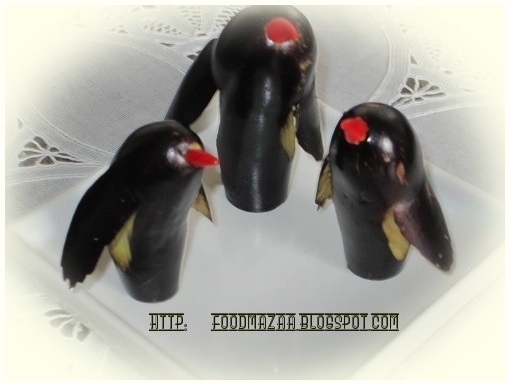 Wow penguins looks damn cute and attractive. 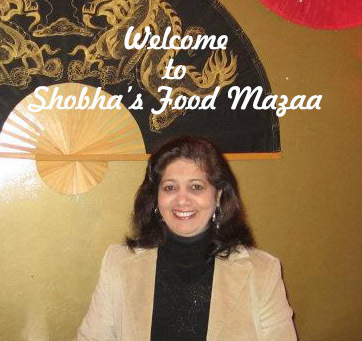 hi shobha, oops! 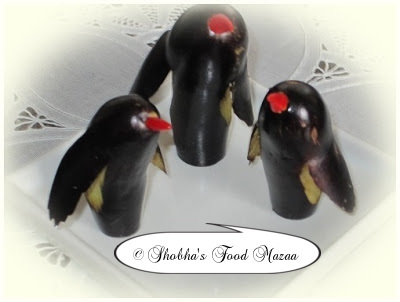 your culinary art is expanding very fats- cute penguins, normally people just do carrot, cucumbers, chili, capsicum, but not brinjals. have a nice day. very creative .love the idea. Wow they looks so so cute..